The FCC may move to open up access to cable television on the basis that the big cable companies are too dominant, according to the NY Times. The move would lower the cost of entry to new content providers and forcibly provide access where this has been denied previously. 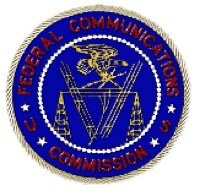 There is also the possibility that the FCC may force cable providers to unbundle channels, allowing consumers to pick and choose which channels they want as opposed to the current bundled channel practice. Without knowing exactly what the final ruling will look like, anything that provides improved choice to consumers is a good thing; it’s also a good thing for Google and content focused startups. In Google’s case, its TV advertising product, currently being trialled by Sky in the United Kingdom, could well have a range of new potential customers looking for innovative advertising solutions. Many of the existing players have rebuffed Google’s overtures, new players may not. A long shot, depending on the extent of the FCC ruling, is Google taking part in the content provision side itself. Consider that a site like YouTube is a conduit to the provision of content in the same way that a cable station is, and Google is already well versed in negotiating content distribution deals with major providers. Google has the time, money, and growing technical experience to provide a cable television station or two, all naturally supported by Google TV ads. It’s a stretch, and perhaps a more likely scenario is that we might see Google partner with someone else (be it in a full partnership or minority investment) but either way it’s an opportunity someone in Google will at least look at. Consider this: Google is trying to buy mobile spectrum to increase the reach of their mobile advertising product, a couple of cable channels is a much cheaper and more manageable proposition then being a mobile operator. Lower access costs to cable networks also provide opportunities for content creating startups. We’ve already seen Podshow on TiVo; any similar content creator, either alone or in conjunction with others, will always look at ways to broaden their distribution in an attempt to maximize viewing numbers. The internet may be the first choice for many when it comes to accessing content, but there is still a very sizable cable audience in the United States, one that may be receptive to innovative channels run by startups that have previously been net only players.